Since the spectacular rise and fall of automotive online retailers during the dot-com boom, the received wisdom within the industry has been that buying a car online remains a bridge too far for many — however comfortable they may have become with the digital world and the online purchase of other goods and services. Yet as the whitepaper will show, not only have consumers become more open to buying their next car online, there have also been a number of developments which remove many of the friction points within the online purchase process. A ‘new wave’ of automotive e-tailers has entered the market in recent months, clearly sensing an unmet need. 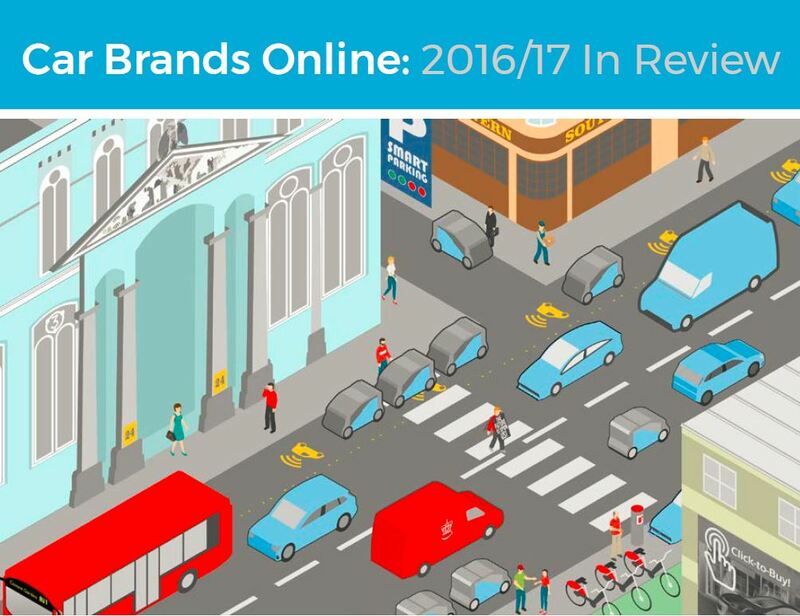 However, an increasing number of automotive brands seem determined to keep pace with these disruptors, by setting up their own online retail capabilities. This whitepaper looks at the current progress and potential of the different initiatives within the industry. Continue to read online or alternatively you can download the whitepaper as a .pdf. The Internet boom in the late 1990s saw the spectacular rise and fall of a number of companies hoping to sell cars online. Autobytel, CarsDirect, CarPoint, DealerNet and many other startups promised the U.S. consumer to ‘take the pain’ out of buying a new car. Unrealistic expectations and economic downturn saw these dreams evaporate when the DotCom ‘bubble’ began to burst in 2000. The would-be online car sellers either went dramatically bust, or salvaged themselves through a reworking of their business models, repositioning themselves as consumer research sites and surviving through advertising income and the sale of leads to dealers. As a consequence of those early failures and the thwarting of ambitions that were often global in nature, over the intervening two decades the idea of selling new cars online, whether by third party companies or by car manufacturers and their dealers, has been largely scoffed at. The objections to ‘click-to-buy’ are well rehearsed – the size of the purchase, the need to physically experience and test drive the vehicle, and the negotiation and haggling over both the final price and the value of any trade-in. Car purchase, many in the industry have come to believe, is an area of retail which will never move wholly online. Autobytel is one of the best known first generation automotive e-tailers. Founded in 1995 in Irvine, California, it challenged the existing model of car-buying by harnessing the emerging Internet and promised consumers to take the pain out of car buying. In 1997 it was the first Internet company to buy advertising during the US Super Bowl, where traditionally, dozens of car brands’ launch their new product campaign offensives. “From the beginning of time people wondered, ‘why does car buying have to be such a pain?’”. 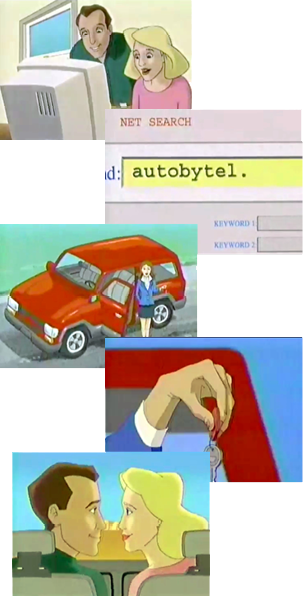 Autobytel’s 1997 Super Bowl advert. Yet consumers, apparently, think differently from the established industry wisdom. Their favourable disposition to purchase cars online has been tracked over a number of years in extensive attitudinal research. Ten years ago, when the Cap Gemini annual ‘Cars Online’ survey first asked the question, it found more than 18% of respondents said they were ‘likely to buy a car online’. 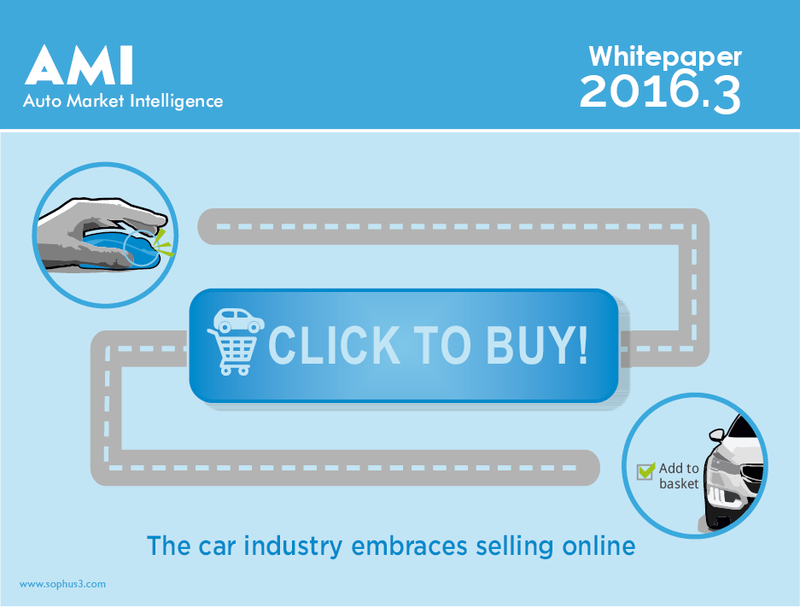 When the question was repeated in 2015, 35% of the in-market buyers interviewed were ready to buy online, rising to near 60% in some emerging markets 1‘Cars Online 07/08’ p.12 & ‘Cars Online 2015 p.21’, Capgemini, http://bit.ly/21KfJSG. A more recent study, published by Roland Berger in January 2016, states that 97% of carbuyers now use the Internet to research vehicle purchase and that as many of 44% of them would buy online 2 ‘Ten percent of new cars in Germany are sold online and the numbers are only going to increase’, Roland Berger, http://bit.ly/2eTkhYj. There have been a number of important changes in consumer behaviour that help explain the growing readiness of people to consider purchasing their next car wholly online. It is easy to forget how central the Internet has become in just the last decade as the go-to source of information on any number of subjects. As the place consumers go to research their purchase choices, it is only logical to enact the actual transaction online. Most consumers regularly purchase online, including big ticket items such as white goods, holidays and even their homes 3 ‘65% of internet users in the EU shopped online in 2015’, Eurostat, http://bit.ly/2guT0vd. Broadband penetration and the ubiquity of mobile means that most online activity now takes place in non-working hours – consumers like the ‘always open’ convenience of Internet shopping. They also prefer to explore their options at their own pace, free of the sales pressure of the traditional retail environment. Car buyers’ negativity about the dealership experience appears to have only worsened in recent years 4 See for example Deloitte’s “Global Automotive Consumer Study 2014”, which found that only 34% of German car buyers and 22% in the USA had “a positive attitude towards automotive dealers” http://bit.ly/2gvncGJ. But also there have been changes in the ways cars are produced and sold which has further encouraged buyers to consider online purchase. For a start, cars have continued to improve in quality. Consumers take it for granted that a new car from a mainstream brand will be well-built, safe and reliable. Manufacturers have backed these improvements by extending the warranties they offer: the risks of buying sight unseen have therefore been reduced. The availability and speed with which finance can be arranged online, further supports ‘click-to-buy’. New purchase methods, in particular the rise of Personal Contract Purchase (PCP), facilitate buying online as the upfront financial commitment required is reduced, or at least appears to be reduced. In the UK nearly 60% of private car purchases now utilise PCPs 5‘The way we buy cars today – the rise of personal contracts’, BBC News, 28th September 2015, http://bbc.in/2gvBHu8. PCPs will have a further beneficial effect on the future propensity to buy online. Because they define in advance the future value of the car at the end of the agreement, the ‘haggle factor’ over its trade in value is stripped from the process of acquiring the user’s next car. This removes yet another friction point from the purchase process that traditionally required a visit to a dealership. Other factors that makes the consumer less likely to enter a car showroom are, the declining interest in test driving a vehicle before buying it, the availability of video and VR technologies to view candidate purchases, and the use of video and live chat channels to communicate remotely with brands and dealers – channels that provide the all important ‘human touch’.